I’m sure you won’t be surprised to hear that I am inundated when folks find themselves faced with making sense of traumatic events such as the largest mass shooting in US history this past weekend in Orlando. I’m no stranger to personal and community-wide loss, having grown up in NYC. I experienced a particularly close relationship to the losses of 9/11, and am all too familiar with what it’s like to move through the surreal aftermath of such an event. While not a therapist, my personal experience and my work as a death and mourning doula lead folks to reach out as they try to navigate a well of emotions that swirl through them during the surreal aftermath of such unthinkable attacks as we saw in Orlando. Allow me to share my personal reflections here, both on what so many express to me about moving through times such as this (it may help you to discover that what you’re feeling is experienced by many others), and some of the actions and ideas I myself, and others, have used to hold on through some of the darkest days. Perhaps these things will be of use to you, or those around you. A terror attack by it’s very nature impacts everyone. Even if we knew no one personally involved. Those who have lost a loved one, witnessed events firsthand, or were involved as emergency responders, are clearly impacted in a profoundly unique way, however, while we may not be directly involved, we as a nation – heck, as human beings walking this earth – find ourselves grieving the nightmare that just unfolded. It’s natural to become wrapped up in a deep sense of empathy – and to even feel a connectedness to the event, the losses – as we come to grips with other emotions this may have triggered, such as sadness, anger, fear, frustration, or helplessness. It’s natural to want to find a way to reach out, to find some way to help, to signal, “You’re not in this alone,” and, “I can’t bear to think you have to suffer this unimaginable heartache, and my heart aches for you too,” and, “I know it could have just as easily been my town, these days…” We long to connect with those who are going through what you may silently pray you never face, for it’s all too terrible, yes even from a distance, even when you have no actual personal involvement, and the need to find some way to help is a natural byproduct. You likely discover you have a mind-blowing number of emotions and thoughts to process; you may feel every emotion rising up at once, the achy pain of senseless loss, the unfathomable emotions tied to realizing this was done from a space of hatred; the pain of seeing others suffering and realizing how much they have lost; even a sense of how lost and helpless so many feel, unsure (as you yourself may feel) as to how to help, not knowing where to begin channeling that energy once the immediate basics such as donating blood and holding vigils (note the vigils rise worldwide after such events; truly, you are not alone in what you are feeling, experiencing – so many of our brothers and sisters around the globe feel such things too) have been addressed, and the social media posts have been shared. And yet…and yet…at the same time, you are also likely struck with awe at the beauty and wonder and power of the goodness you see rising all around you – because, there are lines (oh what gorgeous lines!) of people waiting to donate blood; there is the irrepressible, beautiful kindness of strangers, the way those at vigils (or if Orlando, nearly the whole city) open their arms and hearts to one another – this may be one of the first times you’ve seen so many strangers exhibiting the best humanity has to offer in one setting – how amazing, the remarkable sense of connection and love and kindness displayed by so many around you! There’s likely an oddly surreal sense that this awful event has somehow served, in a way, to bring out the best of our selves, peeling away the masks behind which we so often hide, so that we may stand naked and raw before others in our shared confusion, hurt, and sadness. There’s a strange feeling that this, this raw open state of being, could perhaps be what we are meant to be, for in these moments we stumble upon the beautiful potential that is humanity bonding together – right here, right now – and how odd, that such pure raw beauty and love rises in response to such pain and loss and devastation. It’s such a strange thing, to see horror and love, hatred and unfathomable kindness, juxtaposed in this way…and yet, doesn’t it make sense that when we reach an extreme such as the violence and hatred displayed in an event as what unfolded at Pulse, that the flip side of that cannot help but be revealed? And what is the flip side of violence and hatred, but love and compassion? And that, is the truth I’ve discovered through living and loving in a time of terror as we’ve known at least since 9/11. I’ve lived it firsthand, and heard it from countless others. Life serves up experiences, joyful and heartbreaking alike. We cannot control that, but we can control our response to such events. When we face the unthinkable, we can allow our hearts to shrink back in fear; we can retreat within our shell, hiding from humanity – and honestly, who could blame you, these are scary times. Or…OR…we can allow our hearts to be split open to the point where love bursts forth into the world, and we discover what it is to love boundlessly, to meet violence and hatred with love and compassion; we can allow ourselves to be more – more loving, more open, more thoughtful, more connected – in response to the actions that try to shrink our lives. We own the power to allow our lives to either expand or contract in response to cowardice and hatred and violence. Again, look at the line for blood donation in Orlando this week. Hundreds and hundreds of people waited five hours or more to donate blood. I know I’m being redundant, but it was a remarkable turnout, and what a statement those actions of many has made. Look at the tens and tens of thousands of folks around the world holding vigil in memory of those who died at Pulse. Look at the television hosts speaking on this. Look at the way cities around the globe have cast out the darkness of night with the brightly colored rainbowed lights of pride, all in support of those who have found themselves thrust into darkness due to this heinous act, this cowardly act of one small man, afraid of love he didn’t understand. That. That is how we – humanity – win. It’s through gathering together to bear witness to one another’s heartache and sadness; holding that space to allow our hearts to speak to one another of the vast fonts of pain, confusion, and suffering; it’s about connecting to one another; it’s refusing to allow our hearts and our lives to be cast into darkness. Somehow or another, somewhere along the way, this became a crucial part of my life’s work, supporting the dying and those in mourning. I think perhaps it’s because of the power I saw within such moments, the pure potential for creating change in the world as I helped others learn how to create and hold space for those who needed to grieve, to mourn, to share and express with a powerful rawness, realness, what it is to face death and dying, in deeply honest ways; the power that comes with relating so honestly that it forces one to live powerfully in the present moment. What a gift this is for those you hold space for, and what an even greater gift you receive for having done so. I hear the same echoed from the hearts of so many of our graduates, too. So many of them found their way to this calling after experiencing first hand a loss that rocked their world, and they discovered the gift of connecting deeply, and the power such connection holds, in spreading love, hope, and wonder. Yes, even in the most painful moments of life, love, hope, and wonder can be found. Today, wherever you are, you hold that power, too. You are able to stand there and bear witness to what those around you are going through. You do this one conversation and one act of love at a time. Hold tight to the power found in our ability to connect with love, hope, and wonder, and revel in that human connectedness. Connection, creating and sustaining support for one another in dark times, this is what we humans are so good at. Remember that we are the many, and we together can cast a light to help cast out the shadows of hatred and love. Again, this is how we win at life, at love. Please be gentle with yourself right now, too. Make sure you eat and rest well; make sure you surround yourself with loved ones; and make sure you connect with others in your community, and if you need to, seek out bereavement or support groups, or even professional help. It isn’t strange to seek support even when you don’t live in Orlando; again, this impacts all of us. And remember, it is the beauty of how we love, that casts light into the darkness. HOLDING THE LIGHT – that is what it is all about. 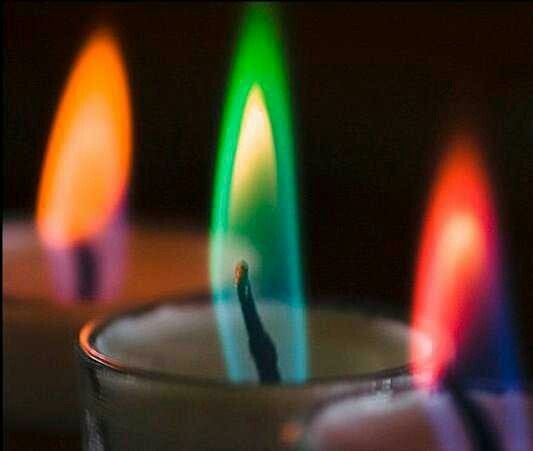 And you, beautiful soul, are a flame that will help light this world. That is how we live and love in times of terror, for anything less, and we are sacrificing all that matters on the altar of fear. This entry was posted in blog and tagged aftermath of terror attack, death doula, death doula training, love and life in a time of terror, love is love, mourning doula, orlando shooting, pulse shooting. Bookmark the permalink. 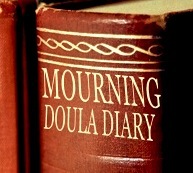 ← Death Doula Diary: How Do You Handle The Emotional Impact?